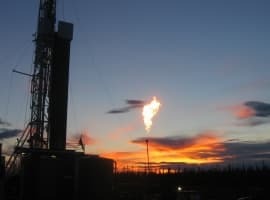 The province of Alberta is further relaxing the production cap it imposed in January in an effort to prop up Canadian oil prices. Alberta is now increasing the limits on oil production by 25,000 bpd in May and by another 25,000 bpd in June, also taking into account that “less diluent is needed in warmer weather for bitumen to flow in pipelines, meaning more capacity,” the province said in a statement. In early December, the Alberta government moved in to shore up the price of Canadian heavy oil and in the most drastic measure yet, the province of Alberta mandated an oil production cut of 325,000 bpd beginning in January 2019. 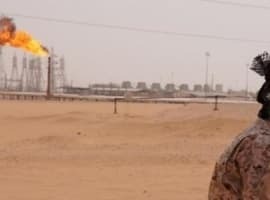 In recent weeks, the discount of WCS to WTI has been below US$15 a barrel, compared to more than a US$40 differential in the fall of 2018. Alberta has been gradually easing the cuts, the previous time being at the end of February when the province said that April oil production would be up by 100,000 bpd compared to the initial limit set for January. The latest increase in the total production cap means that as of June 1, the total allowed production will be 3.71 million bpd, or 150,000 bpd higher than the January ceiling of 3.56 million bpd. “As we increase production, we’re providing even more certainty for producers who have been working with us to protect the jobs and livelihoods of thousands of Alberta families and businesses. This temporary policy has been critical to reducing the oil price differential while we move ahead with our medium-term plan to ship more oil by rail and lead the long-term charge for new pipelines as we fight to get full value for the resources owned by all Albertans,” Alberta’s Premier Rachel Notley said. Canada’s oil industry, however, has been divided over Alberta’s decision to respond to the very low Canadian heavy oil prices by imposing a production cut. While some companies, such as Cenovus Energy, have argued for all-around cuts across the industry, others—including Imperial Oil, Suncor Energy, and Husky Energy—were against cuts across the board and they continue to hold the view that the Alberta government has been wrong in intervening on the free market.